The silicates in wollastonite create unique conditions in the soil that promote the adsorption of phosphates in a form that can prevent run-off while still maintaining higher levels of plant availability. Canadian Wollastonite’s products are currently being used in nutrient management trials researching phosphorus management practices for both greenhouse operations and container nurseries. 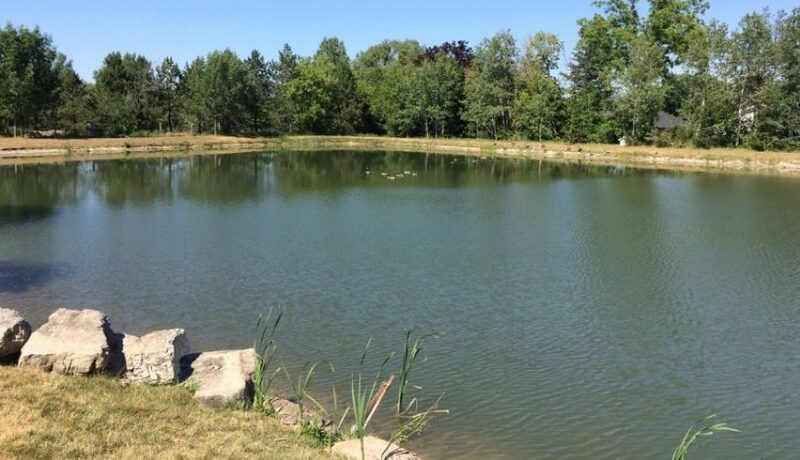 Go to the Research page to find papers describing wollastonite’s effectiveness in phosphate removal from wastewater treatment plants, constructed wetlands, aquaculture systems, and fish and swimming ponds. Below are before and after photos of a phosphorus sequestration in open water trail. 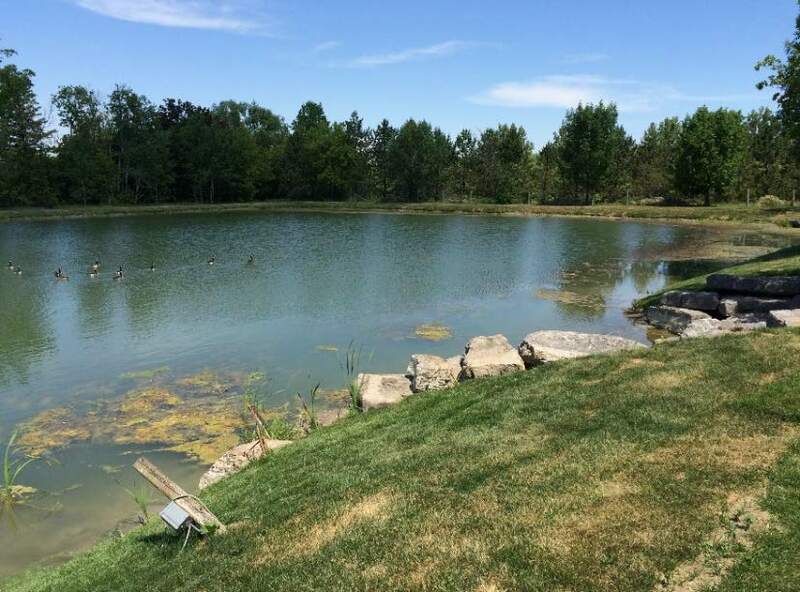 After only 5 days, a significant reduction in algae is evident, supporting wollastonite’s effectiveness at mitigating algal blooms induced by fertilizer runoff. Research has shown that wollastonite binds heavy metals, and it has been used to treat both municipal wastewater and in mining site reclamation projects. Wollastonite used in capturing phosphorus in human and animal treatment plants can be recycled back onto farms as a pH balancer rich in calcium and adsorbed phosphorous. Agricultural waste management costs are reduced by the low cost per ton, and the fact that the resulting product has economic value. The weathering process of wollastonite supplies calcium to both plants and to the soil system. In the soil, calcium combines with carbonic acid to create calcium carbonates, increasing carbon storage in the soil. Multiple projects are underway evaluating wollastonite as a means of reversing declines in Sugar Maple stands in Ontario and Quebec. Aerial seeding via helicopter is used to disperse the wollastonite throughout forests that have experienced significant calcium leeching.